Born in the search for a perpetual motion machine, roulette has been popular for centuries. With its rich history, many people see the game as the most regal of all casino games. Today, however, many gamblers are moving away from traditional table games and towards online betting sites. But what does this mean for the future of roulette? There’s a reason that the game is so popular, and that isn’t likely to change anytime soon; however, the way we play the game is starting to evolve. In this article, we explore the future of the roulette game in the casino. In recent years, live gaming has been growing exponentially. There are now a number of digital platforms dedicated to live gaming, one of the most popular being Twitch. Recent reports suggest that over 45 million people are participating or watching live games every month, and this number is only expected to increase. Via Twitch, you can be involved in a live game of roulette from the comfort of your sofa. Does it get much better than that? As Virtual Reality rises in popularity, new VR casinos are being introduced. The well-known software company, Microgaming, have recently launched a prototype with virtual reality roulette. To play the game, the first thing to do is put on your VR headset. Once your headset is on, everything will go black and you’ll be transported to a new, digital world. From here, you’ll find yourself in a room with a digital croupier handing out chips and spinning a wheel. VR casinos have grown out of the explosion of gaming technology and the consumer demand for an immersive gaming experience. While online casinos are great, they can lack the atmosphere of a physical casino. That’s where VR comes in. If you crave the physical aspect of gambling but the convenience of betting online, VR casinos offer the perfect balance. In the USA, a casino has recently introduced an android croupier to their roulette table. Not only has this helped the casino to circumvent gambling regulations, but it’s also given us a taste of the future. The local media described the android as “a chesty cyber woman” who dolls out chips and spins an electronic wheel. A little different to the traditional game, some casinos now offer a human roulette game. 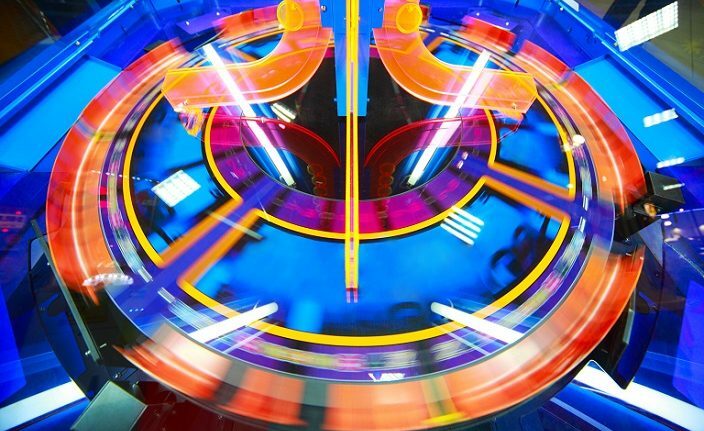 In this game, a daring gambler lies on a rotating disc which is spinning around an inflatable wheel. The aim of the game is to guess where on the wheel the rider will fall off! 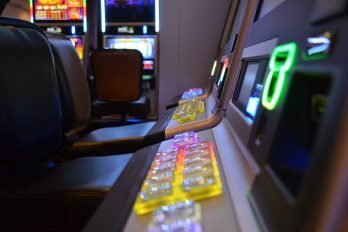 Taking the game one step further, a casino in Pennsylvania have now introduced roulette rides. As the casino is linked to an amusement park, players can kill two birds with one stone when using the extravagant ride. In the game, players are seated in the pockets of a roulette wheel. When the ride gets going, the wheel begins to spin at breakneck speed while the participants hold on for dear life! When gambling online, many players miss the interactive aspect of the game. To combat this, some online casinos now offer live dealer games. Here, players can interact with the dealer via a webcam to replicate the experience of a physical casino. To add a personal touch to the game, some live dealer games can now be customised to feature a choice of decks. In addition to this, the casino lobby is filtered to only display favourites on-screen. This way, players can enjoy a personalised experience from the moment they enter the casino. In 2018, First Person Gaming was brought to the market by the software company, Evolution Gaming. When using the online casino, players begin with an immersive game of 3D roulette. 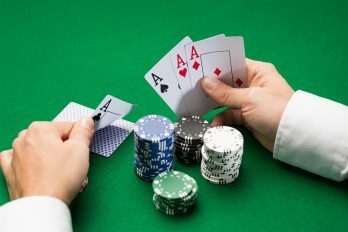 From here, gamblers can choose to “Go Live” and continue the game with a live dealer. Aside from slot machines, this is the first online game to be powered by a Random Number Generator. Unveiled at industry expo ‘ICE’ in 2018, Evolution Gaming’s Lightning Roulette takes Live Roulette one step further. In addition to the standard bets, numbers from one to five are drawn throughout each round. Players can place an additional bet on whether a certain number will crop up. Labelled as ‘lucky payouts’, players can increase their winnings by placing bets on the lucky numbers. The appeal of live casino games is that they mimic the experience of a physical casino, without you having to leave the house. However, most live games still have something missing – the other players. While you can see the dealer through the webcam, you never see any other players. With Dual Play Roulette, this is a thing of the past. 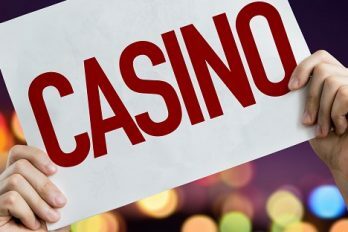 Trialled at the Grosvenor Victoria casino in London, the game allows players on the casino premises to play alongside online players. The special table used for the game is set up with multiple cameras to offer an immersive experience for both parties. Whether you enjoy playing roulette at a physical casino or you prefer to gamble online, you can now enjoy new and improved versions of the game. With copious amounts of time and money being poured into gaming, we can expect to see further developments in the near future. As always, it’s important to consider your financial situation before using an online or physical casino. Before starting a game, make sure you’ve put money aside for your household bills and necessities. Once these have been accounted for, you can enjoy playing roulette with any disposable income.